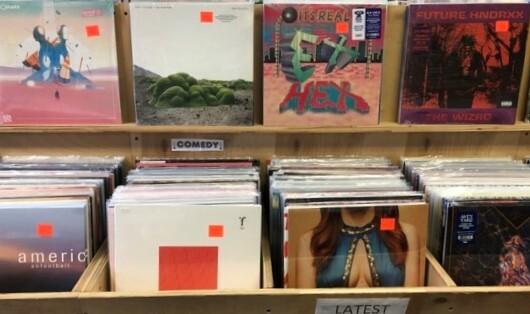 This Brooklyn four-piece embraces good old-fashioned (as in 80s-style) lo-fi, trashy, politically charged punk with snotty vocals, extra-distorted guitars and energetic drums. 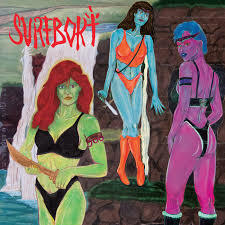 Surfbort’s discography includes singles, EPs and a split with the Dwarves; they later got signed to Cult Records (the label run by Julian Casablancas of The Strokes) which lead put out this debut full-length. They blaze through seventeen tracks in half an hour, with topics ranging from being in love and enjoying frozen drinks (“Slushy”) to negatively reflecting on privilege (“White People”) complete with catchy and shimmering guitars to demonstrate their morphing moods.